TWO people were taken to hospital after the car they were travelling in collided with a stationary bus. The front of the silver Citroen Xantia was left crumpled after it collided with the rear of the 40D Citybus at around 3.30pm Wednesday. Crews used hydraulic rescue equipment to take the roof of the Xantia off to safely extricate the male driver who was said to be suffering minor neck injuries. Full report and pictures This is Plymouth. I would like to thank all involved with the incident on Budshead Road yesterday for their assistance. Though the Emergency Services were very prompt, the customers on my bus and other bystanders on the roadside were very helpful with their quick reactions to the injured couple and myself. A real testament to an ongoing community spirit in Plymouth. 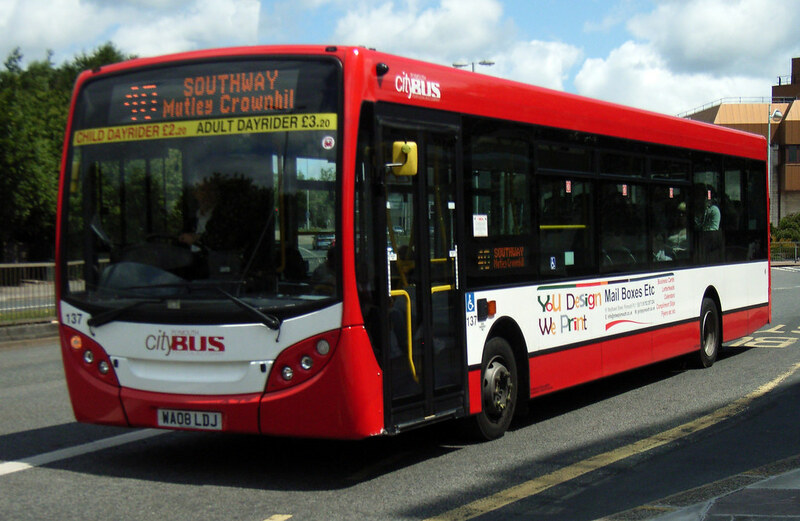 The bus was Citybus 137 which has extensive rear end damage and will be out of action for 'two to three weeks'. Luckily no one on the bus was injured. i drive for first, i was stationary at a bus stop and a car went into the back of me, i however was investigated by first in case there was something i could have done to avoid being hit!